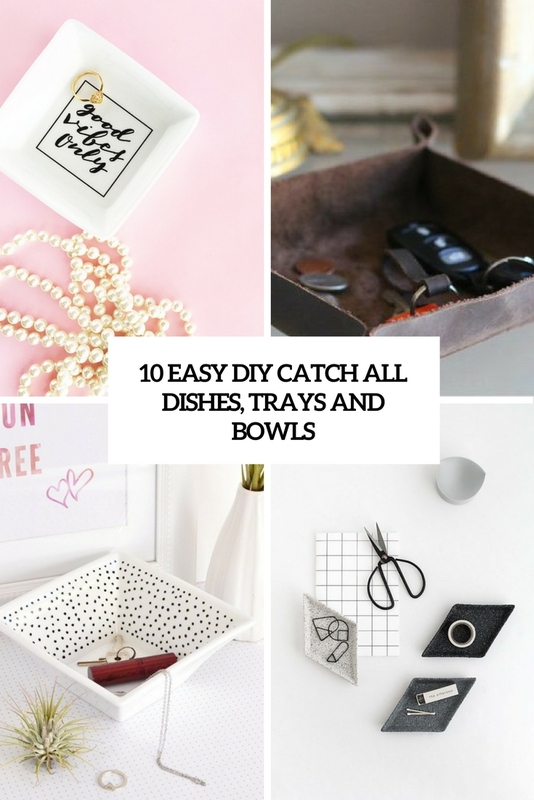 A catch all dish, box, bowl or tray is a must for absolutely every home – there you can throw your keys, accessories, coins and other small stuff. You can easily make one from different materials that are at hand – such crafts are pretty easy and even a kid can make one! Interested? Here are some tutorials! 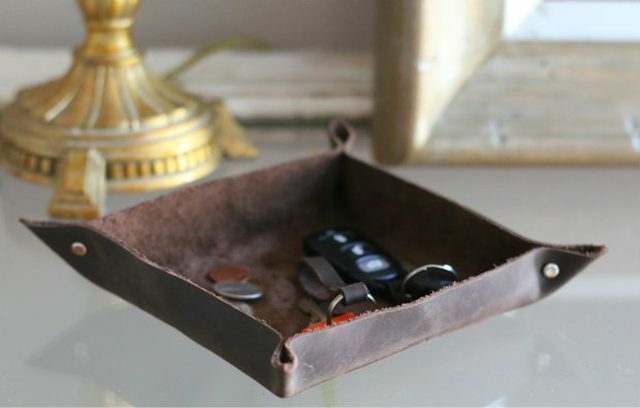 This simple leather DIY tray is perfect for change, keys and all the stuff you have, it’ll make your morning easier, you won’t have to look for your keys everywhere. 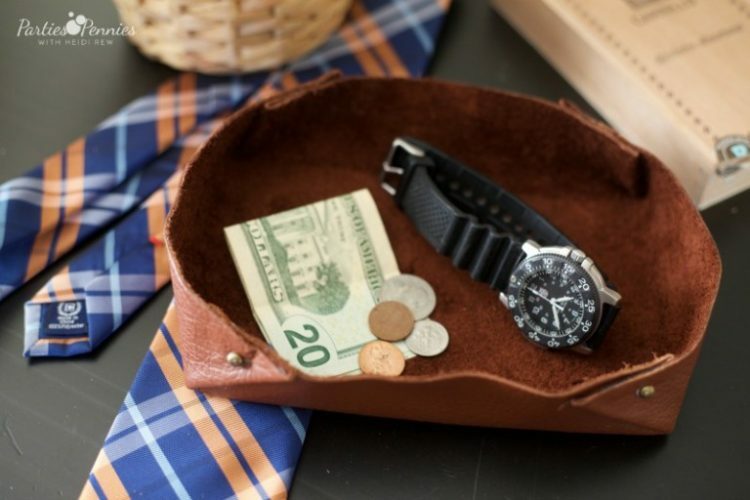 The tray is made of leather, which makes it a cool gift for any man if needed. 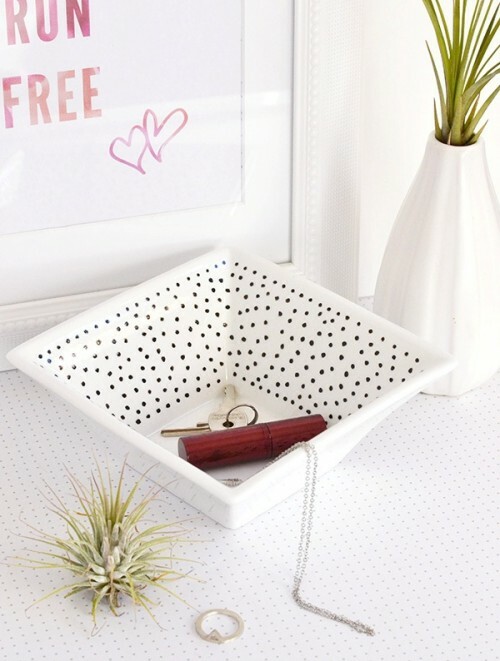 Make a functional and decorative valet tray to contain keys, pocket change and all those odds and ends that need wrangling around your office or entryway. Read how to create a simple and stylish valet of your own using little more than a piece of scrap leather and a handful of rivets. Have you ever come home and thrown your keys on the nearest flat surface only to realize you can’t remember where you put them when you’re walking out the door the next day? To avoid such situations you can make a cute catch-all bowl – just take a plain one and decorate it! 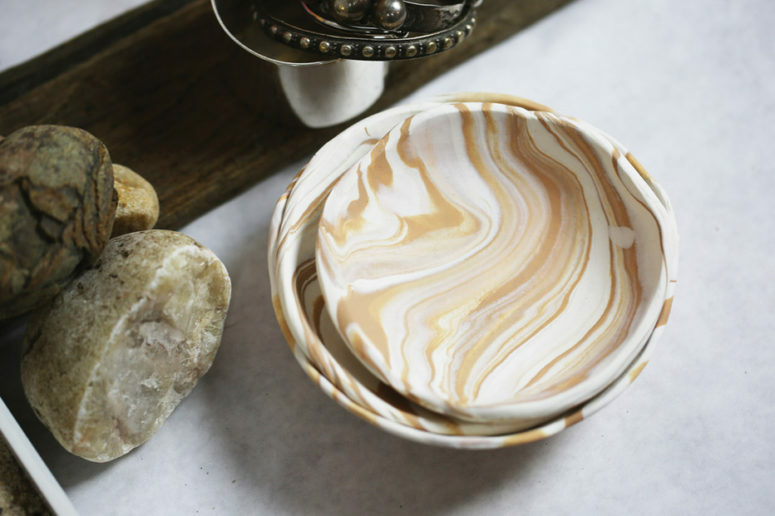 This small, lightweight one-of-kind Marbled Mojave clay bowl in swirling colors of red, brown and cream makes the perfect catch-all for your bookcase or nightstand. Allow to cool completely out of the over. Once cool remove the clay bowl from your oven safe bowl and you’re all set to use it. 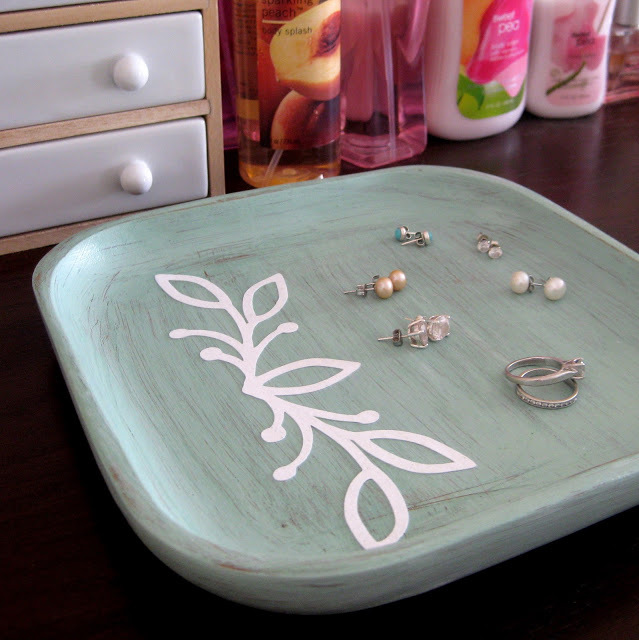 Use a thrifted wooden dish to make a lovely “catch-all” for your dresser, nightstand, or entry table! It can be used for any kind of stuff, and the look depends on the dish you have. This one is made in shabby chic style, it’s very trendy today. 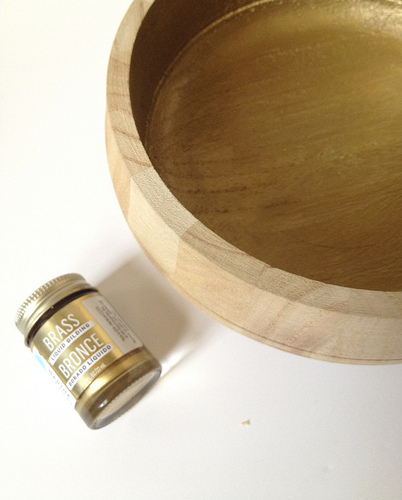 A simple wooden bowl can be turned into an amazingly stylish catch-all bowl. How? Just cover the inner part of it with gold spray! A blend of natural materials and a trendy metallic look is awesome for any modern space and for storing any stuff. If you’re anything like me, you probably have an abundance of earrings, flair, bobby pins, necklaces, etc. that end up scattered around the house or tossed on a dresser. 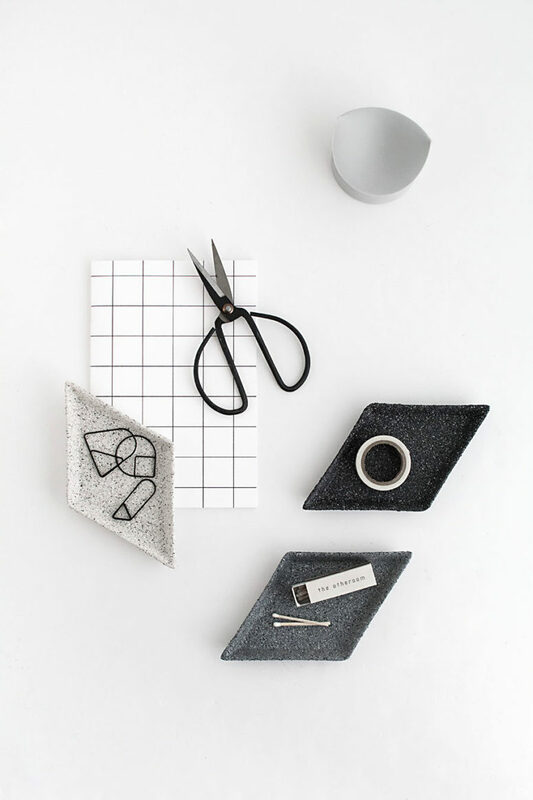 Despite being an organized person, I end up with lots of little cluttered areas because of small items that I throw somewhere at the end of the day. 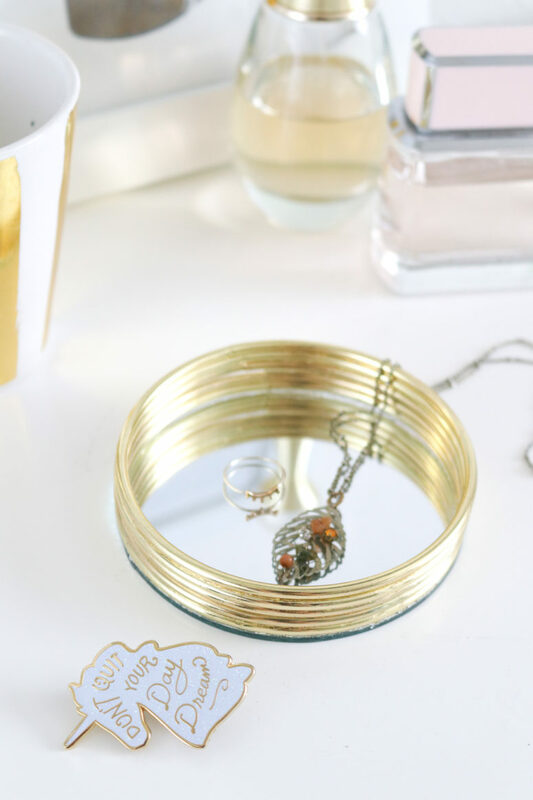 As one solution, make this mirrored trinket tray to collect stray bobby pins and jewelry. Simple diamond dishes can be turned into stone felt a lot more transformative even though it’s the same exact process as painting a vase, but to me these are more unique. They also have multiple uses and can be kept in a bunch of different places as catch alls, which is very exciting! Trinkets, office knick knacks, jewelry, it’ll all work and be cute. 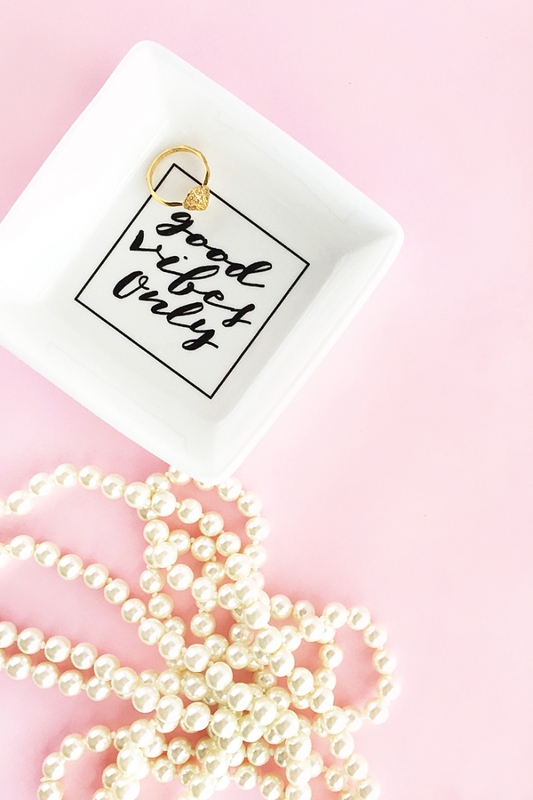 This DIY Good Vibes Only Trinket Dish is very cute. You can add any kind of quote in there using your favorite new font and package it up as a gift for a mom (Mother’s Day), teacher (Teacher Appreciation), or any other loved one for that matter. Enjoy! If you feel like making your own bowl, go for air dry clay! it will allow you making a piece that you like, with an exact size and shape. 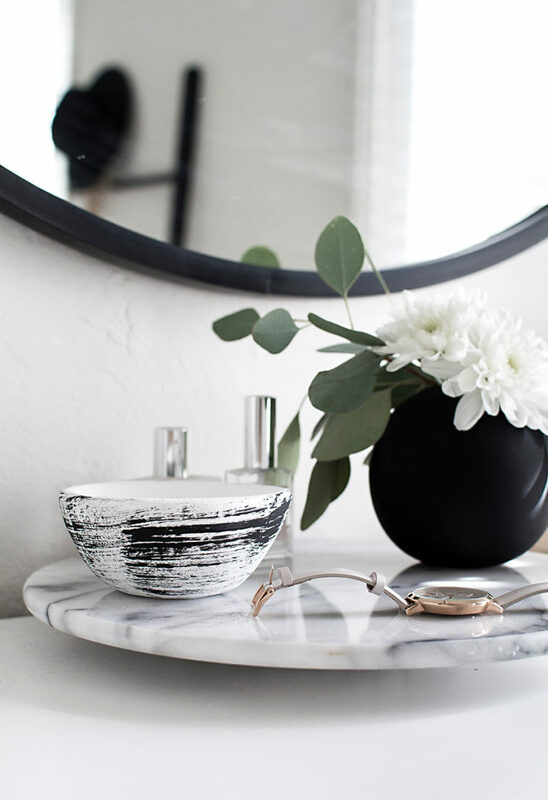 paint the bowl the way you like – and voila, your catchall is ready!